Butterscotch cake with your own message on the cake.Butterscotch Cake is our specialty. 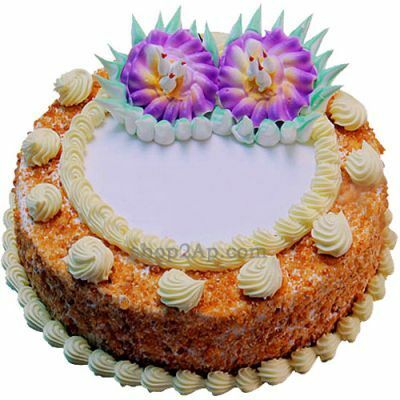 The rich creamy cake is not only delicious but is also beautifully decorated with colorful sprinkles. 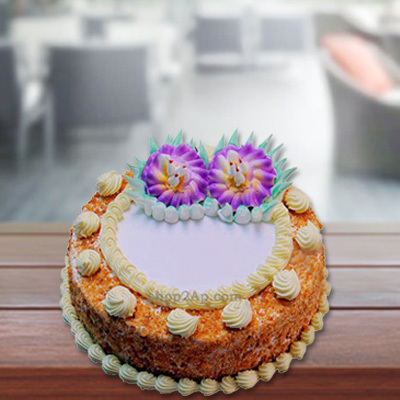 Make the happy moments of your loved ones unforgettable with our yummy Butterscotch Cake.You can send cake online on birthdays and anniversaries. Our Butterscotch Cake also makes a good thank you gift and can also be sent on graduation, success and the birth of a baby. We will also write your personal message on the cake.Beside home delivery service, we also make midnight delivery service; so plan a surprise party for your loved one and we will deliver the cake at midnight.